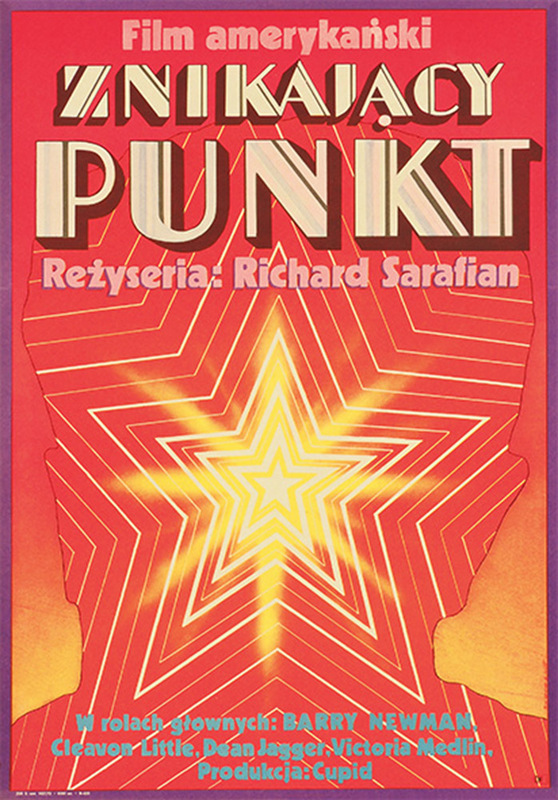 The Polish Poster School that evolved in the centrally planned economy of Poland under the communist regime was largely free of the rigours posters are subject to in free-market economies – its artistic quality was of more concern than its advertising power. Here we take a look at seven posters for well-known Hollywood films, made by Polish graphic designers of the Polish Poster School. We guarantee they’re nothing like their counterparts from other countries! What we have here is a pioneering work of the Polish Poster School, made in 1948 by one of Poland’s most recognised graphic artists Henryk Tomaszewski. 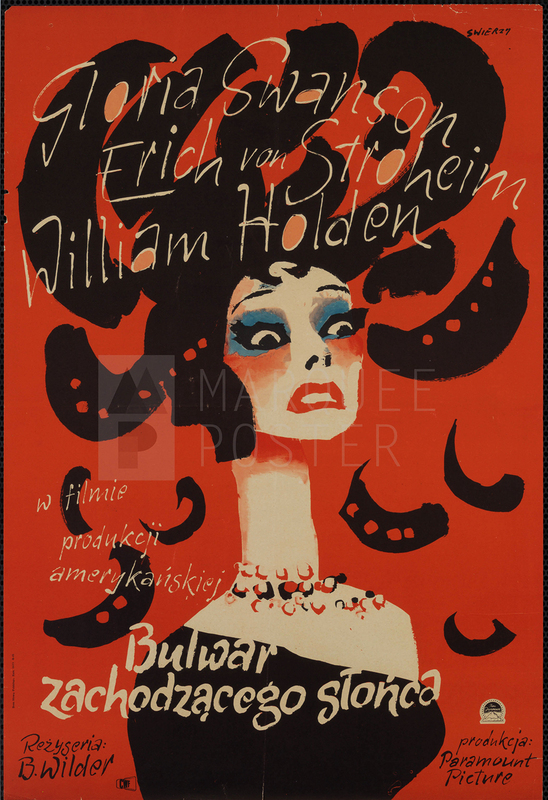 Two years earlier, Tomaszewski, born in 1914, began making posters for Film Polski (translated as Polish Film), the state film distributor of Poland under the communist regime, under the condition that he be allowed to artistically interpret the illustrated films’ subject matter rather than be limited to simply making an advert. 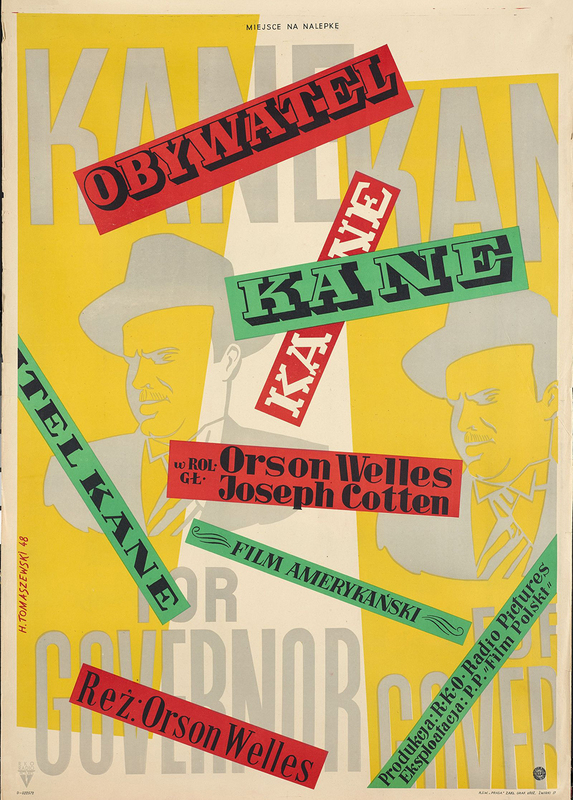 This poster for Citizen Kane (Obywatel Kane in Polish), with its, at the time, highly innovative collage form, which evokes scattered strips of film. They most likely reference the film’s non-linear narrative. The poster is an art form that must provoke the viewer to look. It must focus his attention, if only for a few moments. Born in 1929, Hanna Bodnar is the author of numerous posters for children’s films, which often have a bright, cheerful colour schemes. 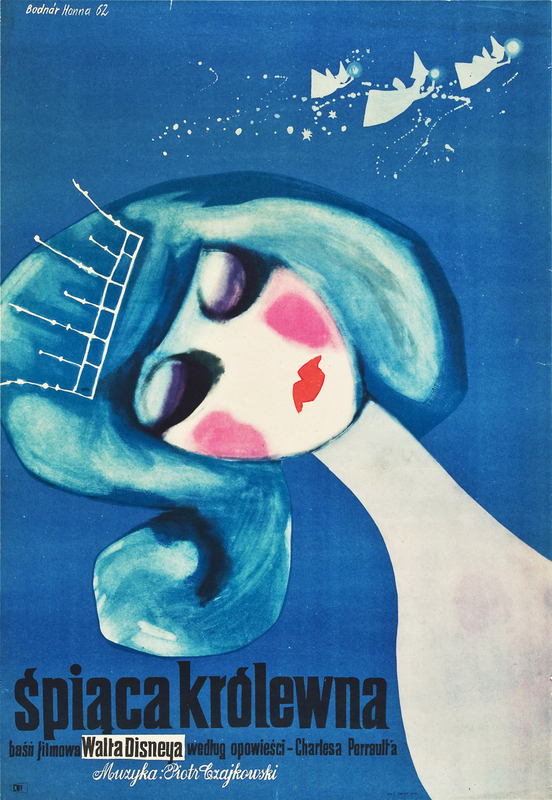 But this particular work from 1962, illustrating Walt Disney’s Sleeping Beauty (Śpiąca Królewna) is placidly blue, melancholic one could say – even the princess’ hair is blue, not blonde like in the film. The overall coolness of the colour scheme is interrupted almost solely by the pink of the cheeks – a colour that points to the happy ending when the princesses’ wedding gown is magically turned from blue to pink by one of the three fairies (visible in the poster’s upper right-hand corner). The event symbolically marked the end of the protagonist’s troubles or blues. So maybe this elegant poster isn’t all that melancholic after all. 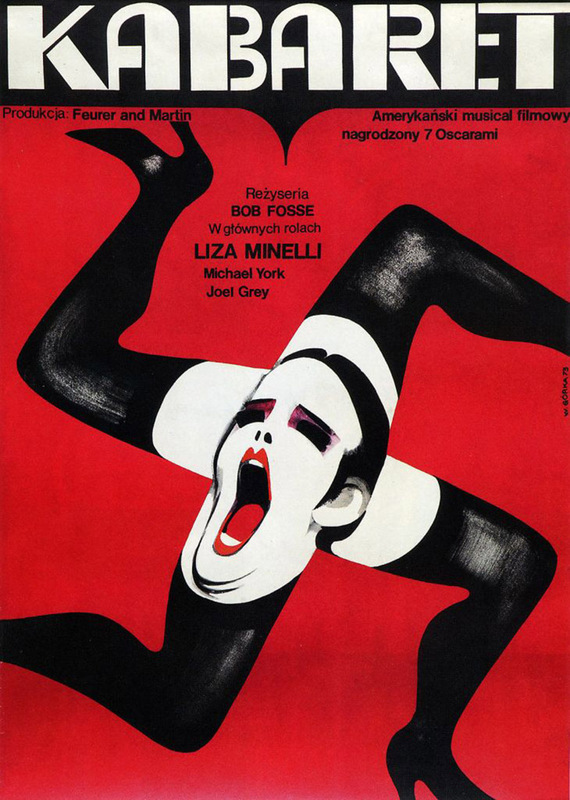 It is indeed the best-ever representation of Bob Fosse movie’s main message – tracing the rise of fascism through the optics of a night club. In this poste, the unusual collision of horror and slightly forced humour found maximum artistic expression, with an enormous power to influence. Edward Lutczyn is usually associated with his prolific work as a satirical newspaper draftsman, but this versatile graphic artist has also illustrated over a hundred children’s books, made album covers, designed postage stamps and much, much more. His hefty oeuvre also includes the fruits of his forays into poster design, among which we find this 1977 poster for The Return of The Pink Panther (Powrót Różowej Pantery). 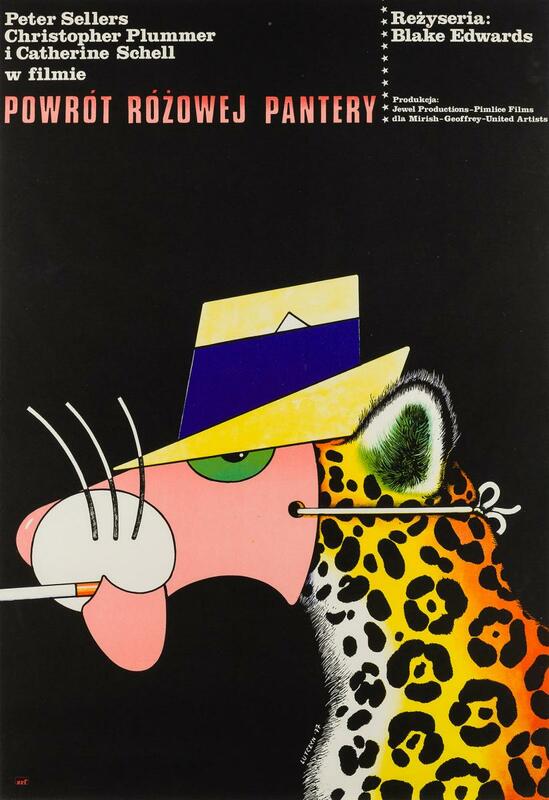 It seems only natural that Lutczyn put his sense of humour to use illustrating a comedy film, which resulted in this cheerfully confusing poster: instead of a pink panther, there’s a leopard wearing a mask and hat. But what at first glance appears to be no more than a joke, it actually echoes the disguised diamond robber at the centre of the movie’s plot. In this poster for Ridley Scott’s Alien (Obcy – 8 Pasażer Nostromo) we also see a mask or at least something disturbing that looks a bit like one. One who hasn’t seen the film might well be intrigued by it, however, one who has seen it will quickly realise that the shape references one of the horrific creatures in the movie: the one that covers a human’s face to implant a lethal parasitic alien in their body. Just as a mask alters its wearer, so does the creature, the only difference being that it alters them permanently – resulting in death. 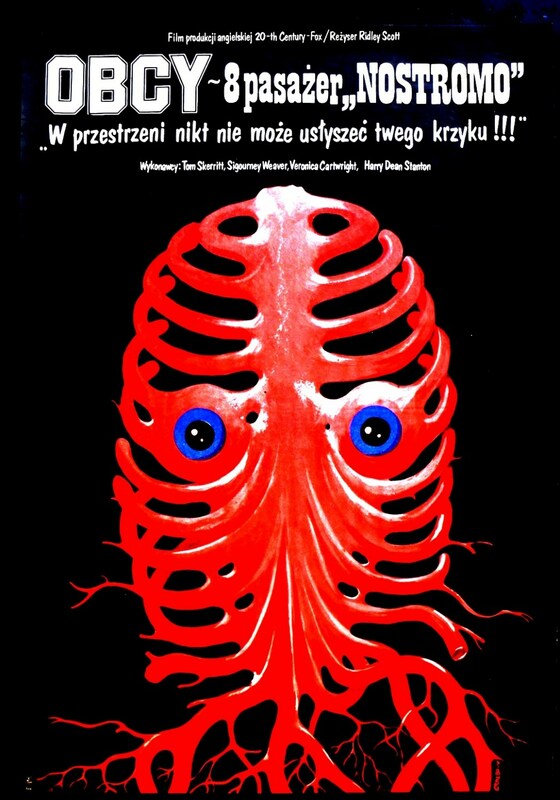 The interpretative character of this 1980 poster by the graphic artist Jakub Erol, who studied under Henryk Tomaszewski, shows that he adopted his teacher’s appreciation of posters which have a creative take on a film’s subject matter.